Last week I met with the team at Wolfpack Packing at 402 Mulock Drive in Newmarket. Wolfpack manufactures and distributes custom and stock boxes and packing supplies. This team has recently just relocated to this beautiful, open concept space. The team doesn't have assigned desks but instead move around on a regular basis to allow for increased collaboration among their team members. They have an ultra-modern set up with adjustable desks to allow you to sit or stand while you work. 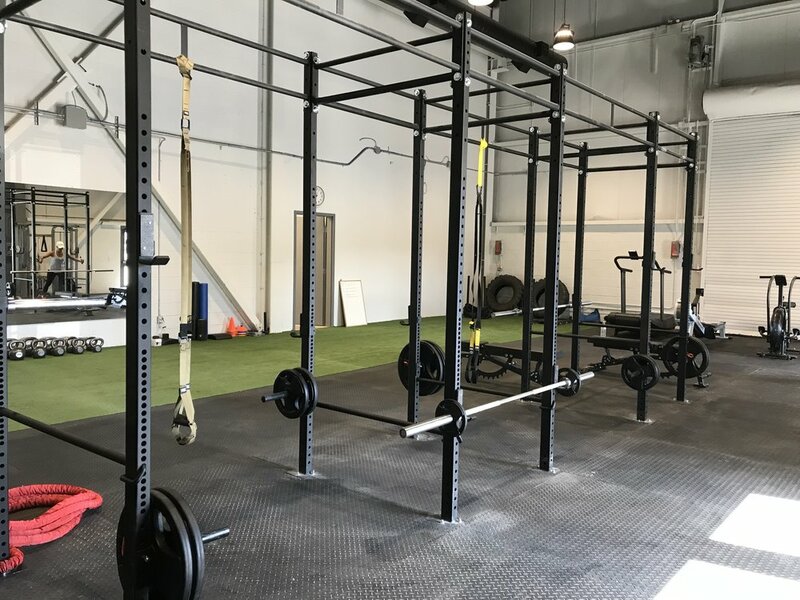 What's more- and what I thought was the most amazing part of the tour, is that Wolfpack has its own fitness facility complete with showers and a personal trainer!!! The gym has a cross-fit feel with astro turf and weights but also has your traditional treadmill etc. As someone who tends to make excuses like "I have no time" and "It's out of my way," having a gym right at work seems like a pretty amazing perk. I love when companies make health and fitness easy for their employees.